Overview: This is an exciting and relatively safe demonstration that illustrates the oxidation of glycerine by permanganate. 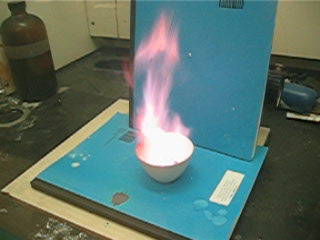 Smoke and fire erupt from the evaperating dish providing motivation to teachers and students. This demonstration also is an excellent example of an exergonic reaction. Consult safety data MSDS before proceeding (see below). Wear googles and gloves and place a safety shield between the reaction and the students. Prepare for disposal persuent with the MSDS. 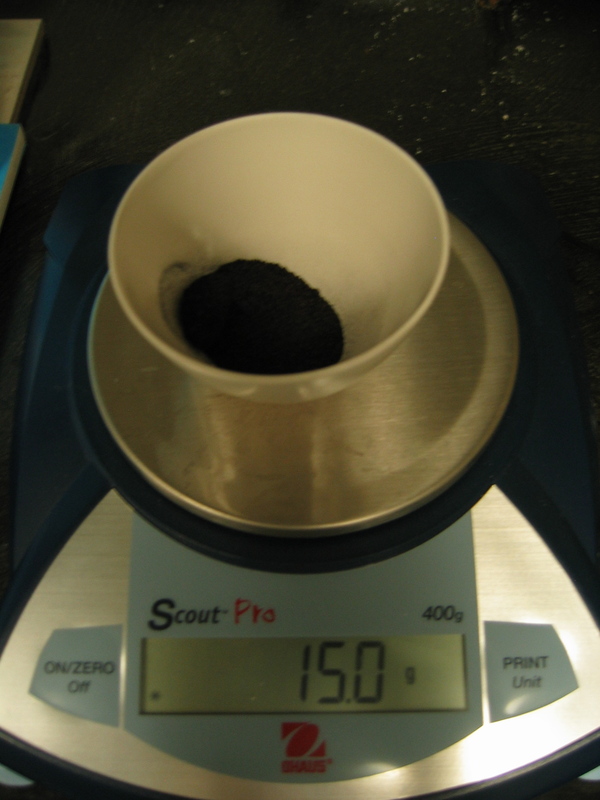 Place about 15 grams of potassium permanganate into a clean mortar. Pour about 1mL of glycerin into the middle of the pile of potassium permanganate. Stand back! The reaction begins within a few moments. 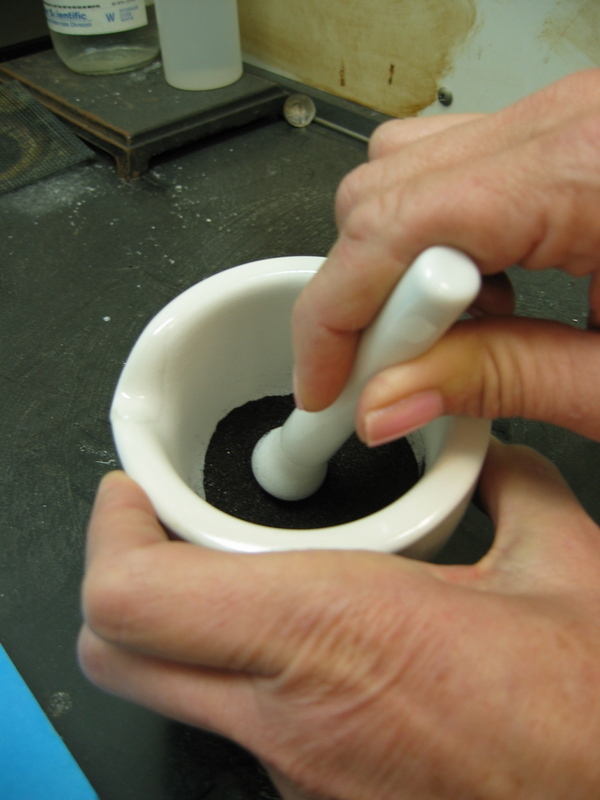 Try it again with crystals that are finely ground with a mortar and pestle. 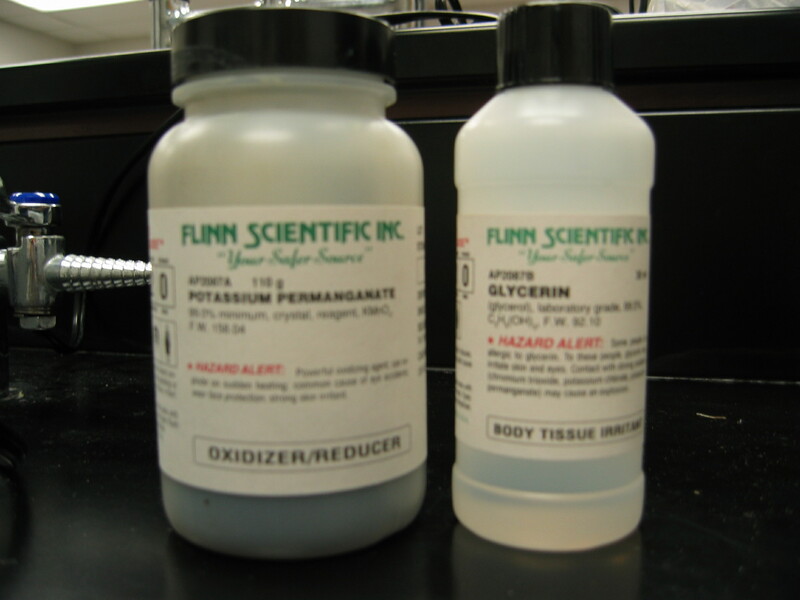 Dispose of any products / unreacted reactantants as directed in the MSDS. In the reaction above, which reactant is oxidized? Which is reduced? What evidence is there that this reaction is exergonic? Which do you expect to have greater mass, the reactants or the products?